Last month, ultrabook OEMs requested a 50 percent cut in CPU costs from Intel in order to more easily offer the notebooks at sub $1000 prices. While Intel was reportedly willing to subsidize CPU costs by as much as 20 percent at the time, some manufacturers may still want more. According to DigiTimes, Taiwan-based manufacturers Acer and Compal Electronics are calling for more CPU price drops. If Intel refuses, the two manufacturers claim that ultrabook vendors may have to resort to cheaper, lower-end Intel processors instead. Performance would suffer as a result, which would give the MacBook Air notebooks the upper hand. With the $1000 price ceiling, manufacturers must still make a sizeable profit for each unit sold, but if the bill of materials is too great and the requirements too high, problems are bound to arise during production. Unfortunately, Intel has yet to respond to the pleas from OEMs, the source claimed. 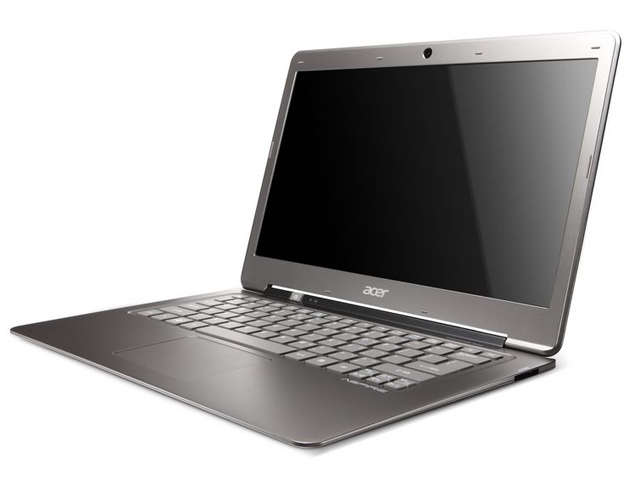 Regardless, ultrabooks from Acer, Toshiba, Lenovo and others still appeared at the IFA and IDF this year in Berlin and San Francisco, respectively. The Lenovo ultrabook in particular, however, is expected to retail for $1195 next month, well above the $1000 mark.